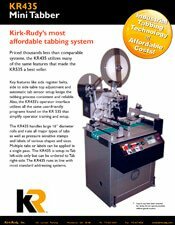 Priced thousands less than comparable systems, the KR435 tabber utilizes many of the same features that made the KR535 tabber a best seller. Key features like side register belts, side to side top plate adjustment and automatic tab sensor setup keep the tabbing process consistent and reliable. The KR435’s operator interface utilizes all the same user-friendly programs found on the KR535 that simplify operator training and setup. 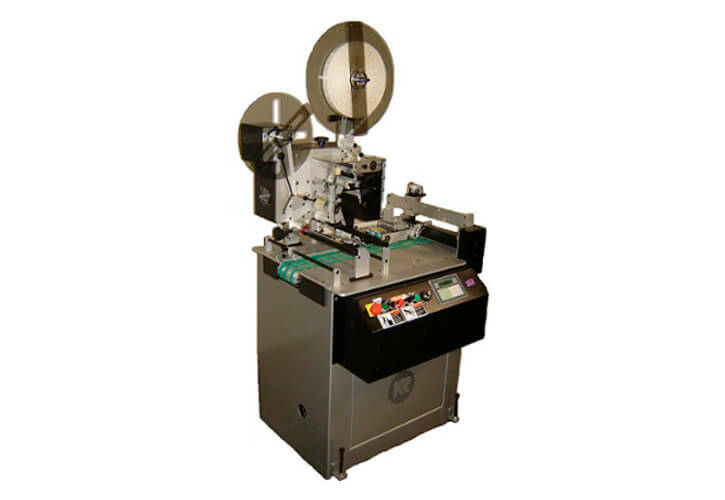 Multiple tabs or labels can be applied in a single pass. The KR435 runs in line with most standard addressing systems.